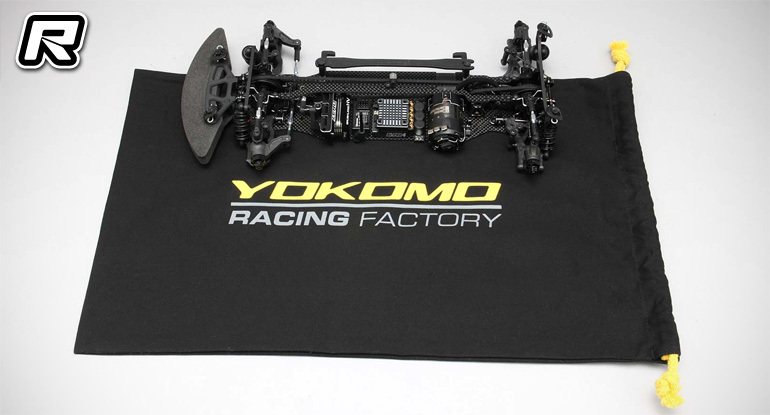 Yokomo have announced their new general purpose chassis bag. 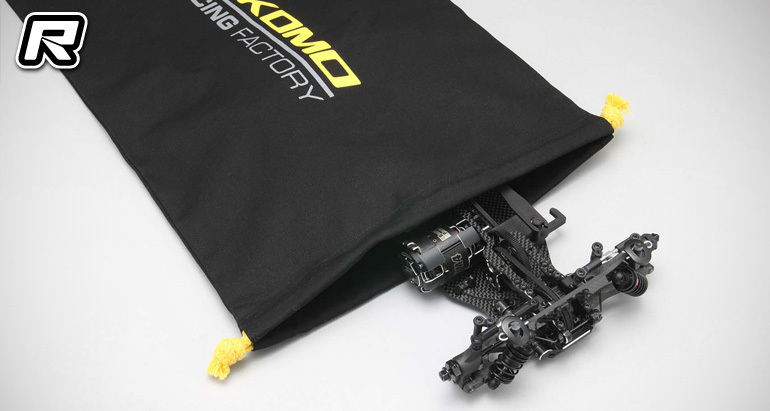 The bag has been made from a sturdy, thick canvas material that is resistant to rubbing, tearing and of course protects from unexpected knocks and bangs yet is soft enough to protect your precious chassis/body shell or transmitter from scratches whilst in transit to the track. 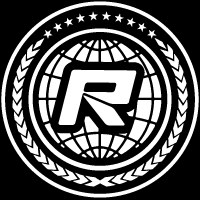 The size is around 51cm × 31cm which is large enough to fit a 1/10 scale RC car chassis and body and is printed with the latest Yokomo factory team logo.